ALTON — Local police have made a second arrest in their investigation into the sale of fentanyl to a man who suffered a severe overdose after using the drug. 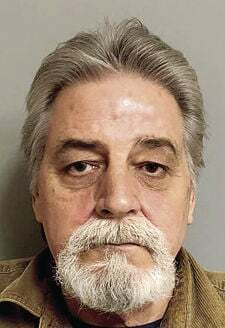 John French, 66, of East Side Drive, in Alton, was arrested on a charge of conspiracy to commit the sale of a narcotic drug believed to be fentanyl. French remains free on his own recognizance. He is scheduled to be arraigned in Belknap Superior Court on April 25, Alton police detective Adam Painchaud said Monday. Police had issued a warrant for French’s arrest and he surrendered at the Alton Police Station last Thursday, Painchaud said. According to an affidavit filed in connection with the arrest of Jason Malo on Feb. 17, French drove Malo and the victim to Lawrence, Massachusetts, to buy fentanyl which he ingested hours prior to the near-fatal overdose. According to the affidavit, French told Alton Police Cpl. Tyler Glidden he drove Malo to Derry on Jan. 7 to pick up the victim who had just been released from five months in a drug treatment program. Once they met up with the victim the three drove to Lawrence, Massachusetts, where Malo bought fentanyl from a street dealer. The money for the drug buy came from the victim, the affidavit states. When EMTs arrived to attend the victim on Jan 8, they were unable to reverse the effects of the overdose despite given him several doses of NARCAN. The victim was later placed in a medically-induced coma and transferred from Lakes Region General Hospital in Laconia to Dartmouth-Hitchcock Medical Center in Lebanon. The victim has since been released from medical care but, according to the affidavit, may be suffering from long-term effects of the overdose.